At this point in my pregnancy, I've gradually moved on from my Mexican burritos and tacos phase, to my Indian food phase -- particularly indulgent dishes like my dad's butter chicken and my mom's deep-fried pakoras. My cravings are frequent and I can't get enough! I figured this might be the perfect time to do some experimenting and tackle these dishes on my own. 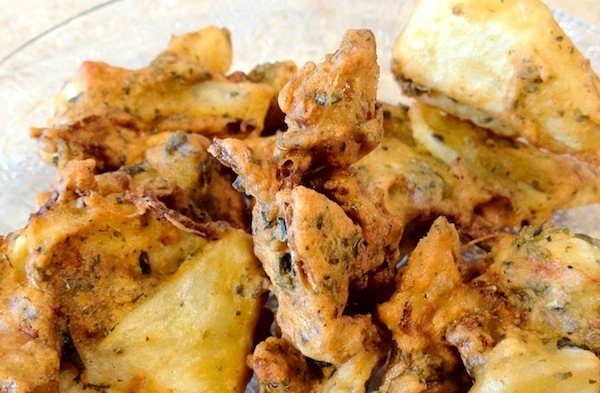 Jugni Style's Naveen Atwal shares her delicious, easy recipes for Butter Chicken and Vegetable Pakoras - perfect for satisfying your deepest cravings for Indian food. At this point in my pregnancy, I've gradually moved on from my Mexican burritos and tacos phase, to my Indian food phase -- particularly indulgent dishes like my dad's butter chicken and my mom's deep-fried pakoras. My cravings are frequent and I can't get enough! I figured this might be the perfect time to do some experimenting and tackle these dishes on my own. It makes satisfying pregnancy cravings on a whim that much easier. My first taste of butter chicken was when my parents owned an Indian restaurant back in the early 1990s. The restaurant has since closed but this decadent dish has lived on and lucky for me, they indulge my craving upon request (thanks Dad!). My parents love to entertain and they've enjoyed gatherings with family and friends for as long as I can remember. Dinner parties weren't fancy but they were always a good time, and food was always the headliner for me. The two days preceding the event always felt painful, as my sister and I spent organizing and cleaning the house under the watchful eye of my mom, but it was all worth it because we knew we were in for a treat come Dinner Party Day, literally. 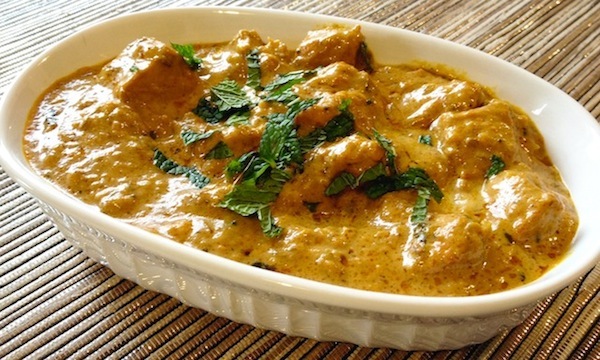 If we were serving Indian food, then butter chicken was usually on the menu, as were pakoras. Pakoras are a staple appetizer and I'm so happy about that fact! They're addictive fritters, crispy on the outside and perfectly moist on the inside. It's impossible to have just one -- and I'm totally okay with that! I'm not going to lie -- I've been avoiding trying out this recipe because it seemed intimidating to create a dish that is deeply revered by so many. But I must say, it's not that complicated! Even though this recipe requires a bit of elbow grease, the effort is well worth it. You'll be proud to serve this butter chicken at your next dinner party.